You’ve got two goals on your to-do list: Exercise more and eat healthy. You’re crushing the exercise goal and it wasn’t as hard as you thought it would be. Your “eat healthy” goal, however, has been more of a challenge. But you’re making it work: cooking more at home, packing lunch for work, and cutting sugar out of your coffee. Despite all of that, your fat loss has all but sputtered out. Have you hit the dreaded “plateau“? Good news: Probably not. 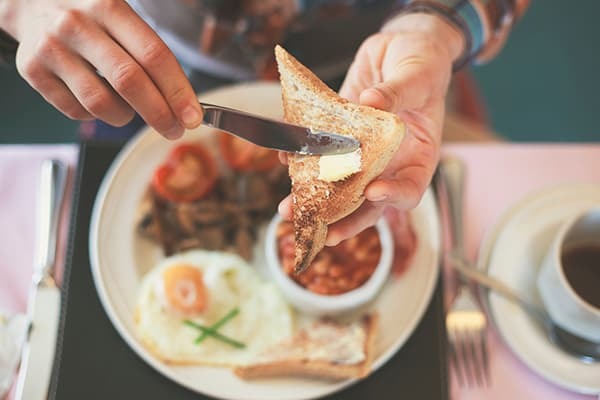 Bad news: You think you’re eating better, but you’re probably not. Find out if you’re making these four common food mistakes and how to get on track. Example: Hummus can be a delicious, healthy food, but a serving size is two tablespoons — not half the container you normally enjoy with your baby carrots. Be mindful of how much you’re eating: Use a food scale, measuring spoons, or portion-control containers to make sure you aren’t overdoing it. By now, we all know that too much sugar in your diet is not a good thing. The American Heart Association advises no more than six teaspoons of sugar per day for women and no more than nine for men. The problem is that even if you’re cutting sugar from your coffee and kicking your candy habit, you’re only addressing the obvious sources. Sugar (added sugar, not naturally occurring sugar in fruits and vegetables) is in pretty much everything we eat, even foods you wouldn’t think contain sugar — bread, sports drinks, salad dressings, granola bars, yogurt, and pasta sauces all contain added sugars. Sugar also goes by many different names, so it can be hard to spot on a food label. Look for words that end in -ose and ingredients like cane juice, turbinado, dextrin, and malt syrup. You can still eat sugar as the occasional treat — in moderation. There are times when a little added sugar may benefit you, particularly in a well-designed supplement, such as the way it replenishes glycogen in various Beachbody Performance products. Juicing is an easy way to get your daily fruits and vegetables, but that green juice may not be as healthy as you think it is. Most juicers remove the pulp (or fiber) from the fruit. But the fiber in fruits and vegetables is just as important as the vitamins and minerals in the juice: Fiber helps you feel more full and slows down the digestion of the fruit and vegetable sugars, so you don’t get that blood sugar spike. Juices also lack fat, and fat can help your body absorb key vitamins like A, D, E, and K more easily. A smoothie with protein, fiber, and fat is a more balanced option. All salads are healthy, right? Nope. 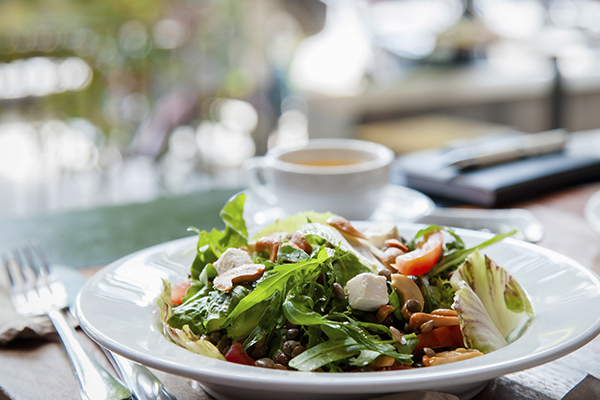 Don’t assume that a salad is automatically the healthiest or lowest calorie choice when you eat out. Example: A chicken avocado salad at a popular restaurant chain weighs in at a whopping 1,870 calories. And McDonald’s kale salad? It’s loaded with more calories and sodium than a Double Big Mac. The culprit is usually the dressing, but the high-calorie count can often be tied to serving size (see #1) and additional toppings like cheese, nuts, and candied fruit. Don’t be afraid to ask for the extras on the side; that way, you control what to add to your salad. Chain restaurants are required to provide calorie and nutrition information, so read the fine print before your order. Better yet, check the menu online before you go and decide what you want before you get there. Eating better doesn’t have to be hard — the key is to be mindful of what and how much you’re eating and you’ll be well on your way to crushing that “eat healthy” goal. 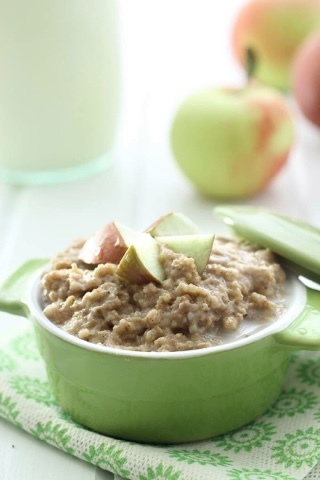 One of our favorite breakfasts!! I make mine overnight so it is ready in the morning. Add all ingredients to your slow cooker. Stir. Top with your favourite toppings. I like peanut butter and crunchy apples. 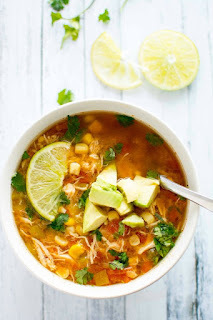 Want more Crock pot ideas? 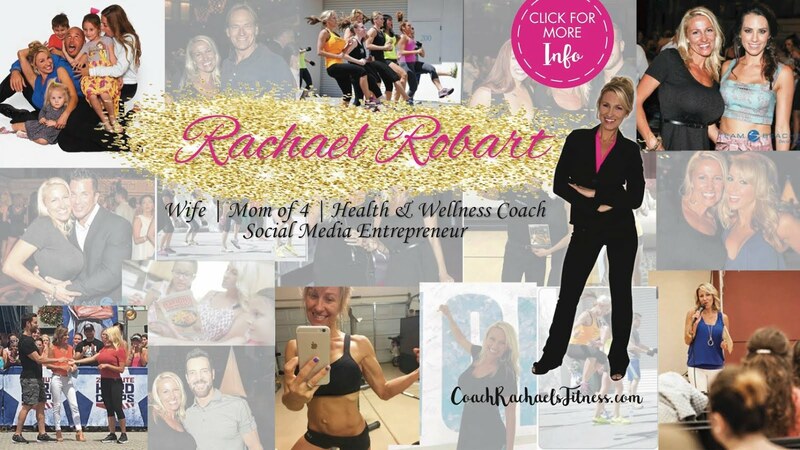 Make me your FREE Coach today to join our CROCKTOBER event!! 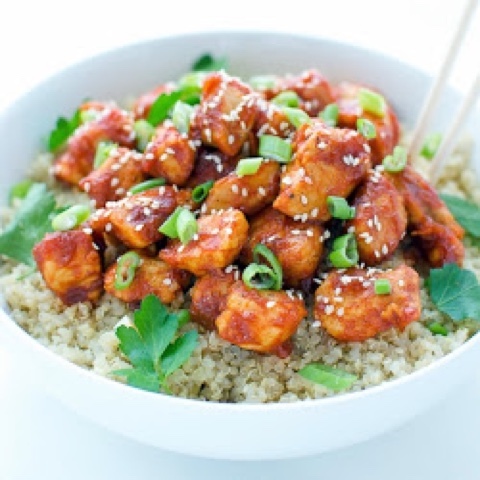 Easy and delicious honey Sriracha chicken quinoa bowl.